Sculpture in Stone (MFA), no. 031; Sculpture in Stone and Bronze (MFA), p. 107 (additional published references). 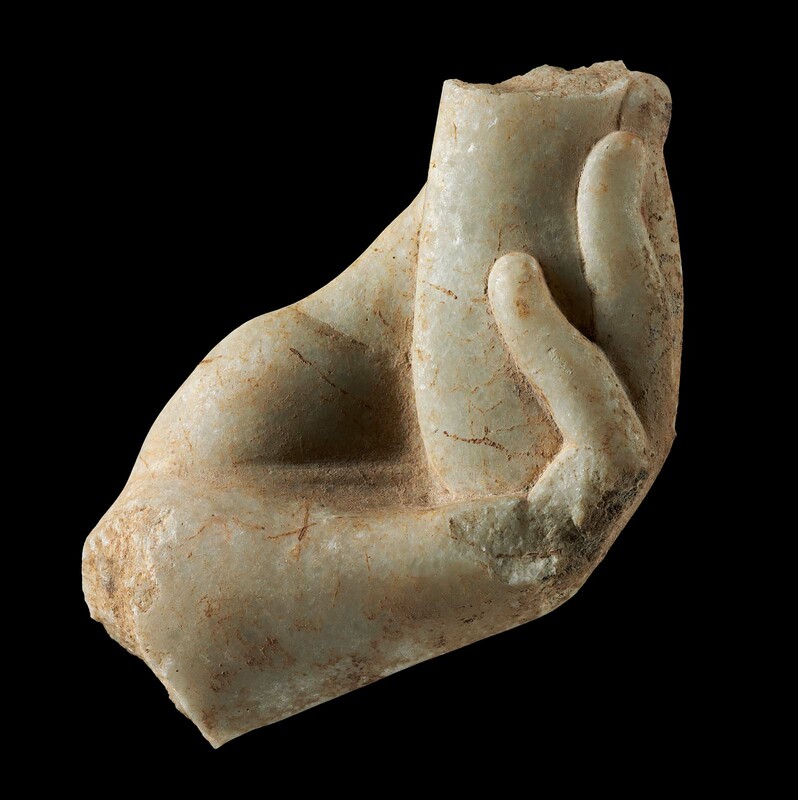 A woman’s left hand holds an alabastron in a nearly upright position. The hand is life-sized and has been carved in low relief. The background has been cut away. The hand is broken off at the wrist, and the top of the alabastron is missing. The little finger is damaged. The surfaces have a brown to yellow patina with some incrustation. Marble has been scientifically tested with X-Ray Diffraction and determined to be Calcitic. Harvard Lab No. HI098: Isotope ratios - delta13C +2.05 / delta18O -1.38, Attribution - Probably Paros 2, Justification - Stylistically related to mainland Greece.